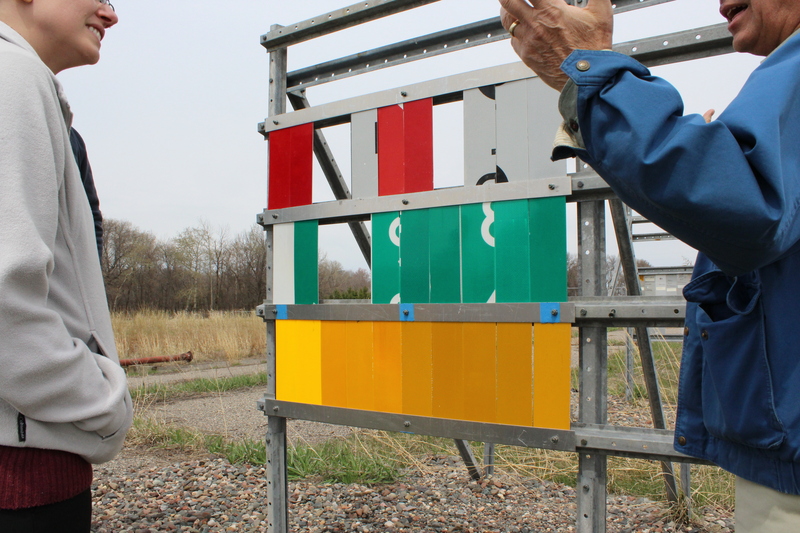 MnDOT recently entered into a contract with the University of Minnesota (UMN) to complete a research project to keep wind from damaging rural intersection conflict warning signs (RICWS) and other digital message signs (DMS). The project is titled “Understanding and Mitigating the Dynamic Behavior of RICWS and DMS Under Wind Loading.” Lauren Linderman, assistant professor at UMN’s Department of Civil, Environmental and Geo-Engineering, will serve as the principal investigator. Jihshya Lin of MnDOT will serve as technical liaison. “This project will find out the behavior of the DMS and RICWS under AASHTO defined design loads and develop the retrofitting system to avoid the experienced problems that will improve the public safety, reduce the maintenance cost and minimize impact to the traffic,” Lin said. RICWS have exhibited excessive swaying under wind loads, leading to safety concerns regarding failure of the support structure at the base. It is believed the heavy weight of these signs has brought the frequency range of these systems too close to that of the wind excitations. There is a need to investigate the wind-induced dynamic effects on these sign structures and to propose modifications to the systems to reduce the likelihood of failure. There is also interest in investigating the dynamic behavior of the DMS, particularly the loads on the friction connection. This research project involves a field investigation to determine the structural performance of these two types of sign structures. Laboratory tests using a towing tank facility and a wind tunnel will be performed on scaled models and opportunely modified models to improve performance and minimize unsteady loads. The outcome of this project is expected to develop an understanding of the RICWS and DMS sign structures and to provide modifications to improve the structural performance of the RICWS sign structures while maintaining the crashworthy requirements. The results will help to ensure the uninterrupted service of these sign structures, which are important to public safety. The project is scheduled to be completed in March 2019. A revised handbook offers Minnesota cities and counties the latest tips on how to meet new sign retroreflectivity requirements, as well as the 411 on sign maintenance and management – everything from knowing when it’s time to remove a sign to creating a budget for sign replacement. The best practices guide – produced in conjunction with a new sign retroreflectivity study – also offers case studies from around the state. This handbook updates a previous version issued in 2010, to include new FHWA retroreflectivity and maintenance and management requirements and deadlines. “Maintenance/management of a large number of signs can potentially be an administrative and financial challenge for many local road authorities,” explained Sulmaan Khan, MnDOT Assistant Project Development Engineer. Here’s a video demonstration of a sign life reflectometer (the Gamma 922), another resource MnDOT has available for local government agencies. Cities, townships or counties may borrow the reflectomer by contacting the Office of Materials and Road Research, (651) 366-5508.